The accreditation of radiological events in Europe for continuing medical education (CME) credits has entered a new era in 2016, with the formation of the Accreditation Council in Imaging (ACI). 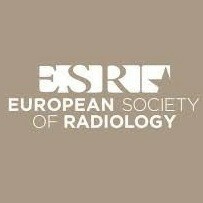 This new body was established by the European Board of Radiology (EBR) to cooperate with the European Accreditation Council for Continuing Medical Education (EACCME) to enhance the accreditation process by utilising the EBR’s unique position in the field of imaging, building on the firm foundations of the EACCME’s existing systems. The EACCME, which is the accreditation wing of the European Union of Medical Specialists (UEMS), has previously dealt with applications for CME accreditation in the field of imaging directly. From now on, organisers of radiological conferences, workshops, eLearning platforms and other potential sources of radiology-related CME in Europe will apply to the ACI for accreditation. 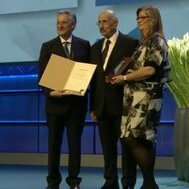 “This collaboration is a great step forward for radiological education in Europe,” said Professor Lluis Donoso Bach, president of the EBR’s Shareholders Board. The immediate benefit to organisers is the additional support that can be offered by combining the resources of both organisations. The EACCME’s administrative capacities are now augmented by the EBR’s client-facing approach, enabling the provision of valuable feedback on accreditation applications which can help organisers to optimise the CME value of their events. Aside from the obvious advantages to organisers, this is a benefit that will also be felt by event participants. The EBR’s long-term commitment to improving and harmonising radiological education in Europe means that all applications will be carefully scrutinised to ensure they reach the ACI’s high standards, but it also means the body will be actively looking for ways to accredit new sources of CME in the future, including increasing the proportion of online learning sources that are accredited. Roughly 90 percent of accredited radiological CME sources in Europe are currently physical events, but the rise of eLearning and online testing means demand for eCME is growing. To support the ACI, the ESR is also expanding its presence in Brussels with a full-time permanent staff member based in the Domus Medica Europaea office complex – the home of the UEMS. The new employee will split duties between providing assistance to the radiology section of the UEMS and working with the ESR’s EU Affairs team. Applications for CME accreditation should be made via the ACI’s web portal at least 15 weeks prior to the planned event. Guidance is provided by the ACI staff to make the application process as fast and as smooth as possible, before the application passes into the review phase, involving both the ACI and the EACCME. 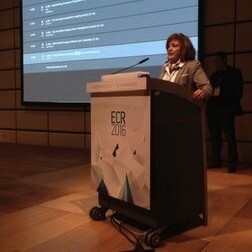 ECR2016: Safe Imaging Picks Up Pace; But What About The Children?